There are several big games tonight in Major League Baseball including the two pitchers with the lowest ERA in baseball going head to head as the Kansas City Royals host baseballs best in the Houston Astros. 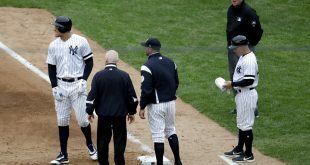 The Red Sox visit Yankee Stadium in one of baseballs biggest rivalries and the two Chicago teams face the two Florida teams. Astros’ 11 game win streak Tuesday night. Although they surely face a more serious threat as Keuchel looks to take the mound tonight. 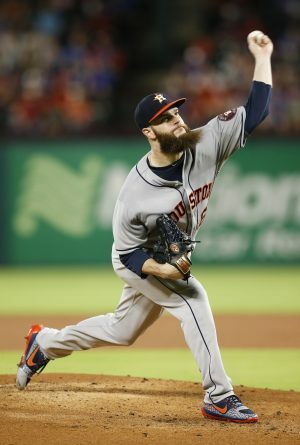 “I feel like I’m about as good as I’m gonna get,” said Keuchel Tuesday. “I’m just enjoying it.” The 2015 American league Cy Young Award winner seems ready to get the Astros back on track. Are the Royals ready for him? 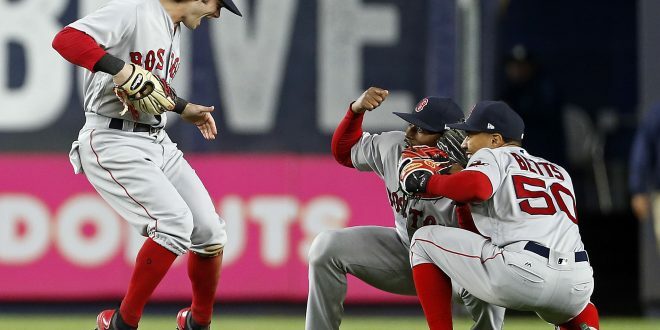 The Boston Red Sox (32-25) took game one of the series at Yankee Stadium on Tuesday night. C.C. Sabathia (4.12 ERA) gets the nod for the New York Yankees (32-23) tonight. Although getting off to a rocky start, defending Cy Young winner Rick Porcello (4.24 ERA) will be starting for the Red Sox. Porcello is unfortunately leading the league with 96 hits allowed through 74.1 innings. This is 29 more than he allowed this time last year. C.C. Sabathia on the other hand is looking to win a fifth straight start since 2012. If he does so, he will become the 65th pitcher to reach 230 career wins. The Yankees lead in the East, with the Red Sox one game behind. The two big rivals play tonight at 7:05 p.m. The Chicago Cubs (30-27) are looking for their sixth straight win following a 10-2 win against the Marlins on Tuesday. The Miami Marlins (24-33) on the other hand are looking to stop the three-game sweep against the Cubbies. The pitching matchup tonight will be between Chicago’s John Lackey (4.90 ERA) versus Miami’s Jose Urena (3.80 ERA). Urena is currently 0-1 against the Cubs, and Lackey is only slightly more successful against the Marlins as he is 1-1. Marlins manager Don Mattingly recently highlighted on what Urena brings to the table when he takes the mound. 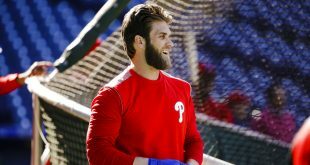 “We feel confident when he pitches because you know he’s going to be aggressive. But you have also seen deep pitch counts, 100 pitches in five innings, stuff like that.” Urena won his last two May starts, but only pitched five innings in each game. Its possible that we’ll see a very similar situation tonight as Urena goes against the top team in the National League Central. The Tampa Bay Rays’s (25-31) lost to the Chicago White Sox (25-31) 4-2 on Tuesday, taking their losing streak to four games. 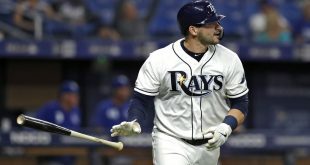 Rays players are frustrated with their lack of offense contribution in recent games. 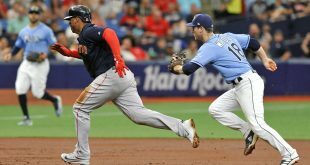 First baseman Logan Morrison said “we got guys on, just weren’t able to get them in.” Morrison summed up the Rays’ problems correctly as they left 11 men on base on Tuesday night. The Rays will try something new tonight as 23-year-old rookie pitcher Jacob Faria is set to make his major league debut. Faria is the sixth pitcher this season to be called up to make a debut. The White Sox will start Mike Pelfrey, who has two wins and a 1.13 ERA in his last three starts. He’s notched 15 strikeouts with only three walks. Previous Can The Cavs Come Back In Game 3?